I'm proposing to buy from you, 3 x sets of premium brand compatible Canon Pixma iP4500 ink cartridges. Please can you tell me what the expected shelf life is on these cartridges before they become unusable for any reason? Thank you, Peter. Our premium brand compatible Canon iP4500 inkjet cartridges have a guaranteed shelf life of up to 12 months from your date of purchase, provided that they're stored in a cool, dry place. Once the cartridges are removed from the packaging and the plastic tab is released, or they're installed into the machine, they can dry out quickly if not used. Therefore, we recommend that once you've opened the cartridges you should print a page at least once a week to keep the ink flowing freely from the cartridges. 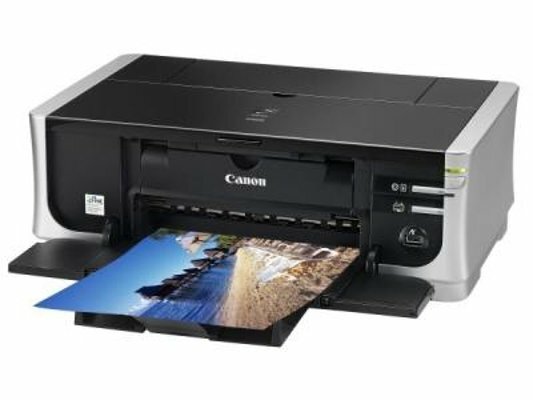 How much ink does each Canon Pixma iP4500 cartridge hold in ml? CLI-8BK cartridge: 13ml. CLI-5BK cartridge: 26ml. CLI-8C cartridge: 14ml. CLI-8M cartridge: 14ml. CLI-8Y cartridge: 14ml. I want to order a full set of genuine Cannon inks for my Pixma iP4500 inkjet printer. There are two black cartridges fitted. Which cartridge do I need to order in addition to the four cartridge set you list? It looks as though my Pixma iP4500 has died on me and I shall have to replace it. I have Â£30 worth of ink left over. What other printers use these inks? Can you recommend another printer? Thanks, Robert. If the price of cartridges for your Canon IP4500 is really getting your goat, and you have searched every discount store, computer store and office supply store in hope of finding a sensible price on Canon IP4500 cartridges with no luck, don't give up yet. You can save some money on Canon IP4500 ink by ordering directly from Cartridge Save. We at Cartridge Save are the leading online ink cartridge discount supplier in the UK. Saving our customers money on their printer ink is what we do best! You have nothing to fret about when you order your cartridges directly from Cartridge Save. There is no risk at all as your order is covered by a full money back guarantee. We have so much confidence in our cartridges that we will offer you a full refund if you are unhappy. If you are worried that the cost of delivering your cartridges will destroy your savings, rest easy. At Cartridge Save, we will deliver for FREE. Order from Cartridge Save today, and you will save money and time!